of that content seemed like profile pages for the characters and I am having difficulty finding them. and was in Shounen Sunday issue #5-6 2006 (a double issue with a week break afterwards) which was published January 4, 2006." and the next 2 are a recap of all of the Kaitou heists up to that point. You can paste the text into anything with a Search & Replace feature (Notepad and Word both have it, I think) and just do a replace of “<br>” with nothing, which’ll remove all instances of it in an instant. That’s a lot of untranslated content. An anime that creates a "good intellectual stimulation"
The voice actors of the series have never changed since the beginning of the anime: "Conan is like their home", told us the artist, Aoyama. The popular anime of Nihon Television, "Detective Conan", celebrates its 10th anniversary in January this year. The ratings are on an average of 10% among teenagers, and the tenth movie will be released in April. The sales for the 51 first volumes have reached 100 million units, and the series still goes on. "I thought an anime wouldn't go well with a deduction-themed manga. 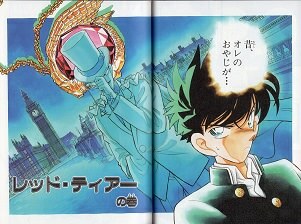 But the anime is still being made thanks to the team's hard work," told us Gosho Aoyama. Shinichi Kudo was a high-school detective until a mysterious criminal organization made him drink a poison which shrank his body to the state of a child. 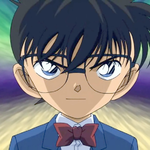 He now calls himself Conan Edogawa, and lives at his childhood friend's house, in order to solve all kinds of cases, while waiting for the Black Organization to make a move. An anime adaptation began to air on television one year after the first chapter's release in Shogakukan's 'Shonen Sunday'. "The murders are drawn, and people die frequently. So I first thought "It's impossible, are they really going to do an anime? "," Aoyama told us. When he was in college, the author wanted to become an anime artist. That's why Aoyama works together with the movie production team for the Detective Conan movies. He is very involved in everything related to the Conan anime. ''I was already drawing the manga, so when the anime team began the creation process of the anime, I told them "I'll also do my best". It became one of my main motivations. Even better, I found ideas for the manga while talking to the anime production team." A 10-year Special episode was realeased on the 9th of January. It's a battle between the Black Organization and Conan, where both of them have to attack and defend themselves. Since the episodes are released, the gap between the anime and the original work has been shortened. Are the final confrontation and the end of the series near? ''Everything we talk about during our meetings is kept secret. 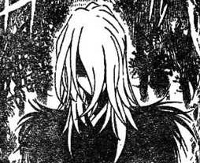 Actually, the boss's name has already appeared in the manga. Try and find it." 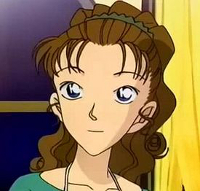 The veteran voice actor of the clumsy detective Kogoro Mori, Akira Kamiya-san, gave a certain charm to the anime thanks to his vocal performances. "Her voice is exactly what I had in mind," Aoyama-san told us when speaking of Conan's voice actor, Minami Takayama-san, a woman. He's married with her since last year. ''After I create a case, I like to ask myself "How would Conan say that? ", or "Is it good like that?". Moreover, I always have Conan at home. When I go home after my work is finished, I want to forget my job, but I still hear Conan's voice... in my house." It was published on NTV's website in 2006. 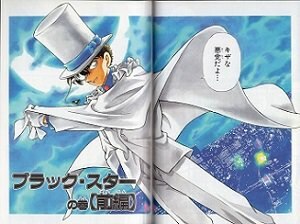 ''I want to thank every reader and viewer who reads the manga or watches the anime'', stated the original artist, Gosho Aoyama. NTV's popular anime, ''Detective Conan'' (Monday, 7:30 to 8:00), celebrates this year its 10th broadcast anniversary, by broadcasting this Monday a two-hour special called ''Black Impact! The Moment the Organization Reaches Out'' (starting 7:00 PM). 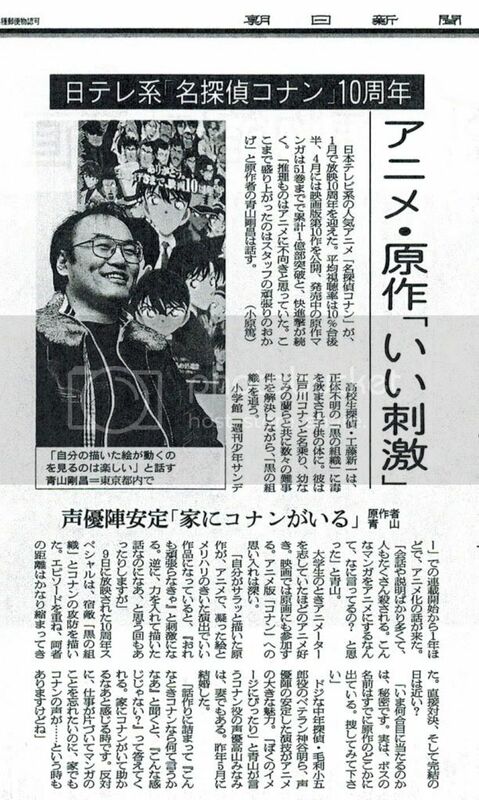 The original work's author, Gosho Aoyama, gave us his feelings on this anniversary (article by Jun Fukuda). Shinichi Kudo was a high-school detective until a mysterious criminal organization made him drink a poison which shrank his body to the state of a child. He now calls himself Conan Edogawa and solves any kind of cases thanks to his mind. 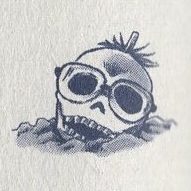 The original work began on January 1994 in the Shonen Sunday magazine (from Shogakukan). It became an instant hit, and was animated in 1996. 424 episodes have been broadcasted to this day, and the average rating is of 16.7% (in the Kanto area). The movie ''The Private Eyes' Requiem'', the tenth movie of the franchise, will be released on the 15th of April. He got married with Conan's voice actress, Minami Takayam, in May. ''When I go home after my work is finished, I want to forget my job, but I still hear Conan's voice in my house. '', he told us, a grin on his lips. ''Sometimes, people tell me ''Conan says what I feel'', and it's sometimes the same for me ! '', he also told us with a smile. The director of Yomiuri TV, Michihiko Suwa, stated that he hadn't thought that the anime would have lasted so long, since 10-year old animes are very rare. I translated this a few years ago, so the translation may not be totally accurate. Is there going to be any interview this month? ALAKTORN wrote: That’s a lot of untranslated content. There is actually more, somewhere, I just haven't been able to get good sources. have typed up willingly in their own time. "First, there will be confrontation with Bourbon, the new Black Organization member. yoko91 wrote: Is there going to be any interview this month? so expect Japanese twitter to be flooded with stuff during and up to 3 hours after that. I wonder what kind of dumb question I'll see this year. Here is what I found after buying a copy of the magazine. more books finally arrived ! Are those VA and staff interviews or presentations ? Wakarimashita wrote: Are those VA and staff interviews or presentations ? The title of the section is "Cast and Creator interview"
Interviews with the cast and crew of the movies as well as Gosho, April 4, 2016.